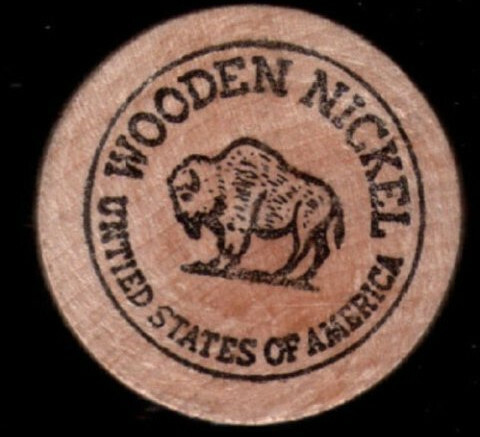 When I was younger, my parents would tell me not to take any wooden nickels. I always wondered what that meant. Are there actual people out there trying to pass off wooden currency? Would I really be tempted to accept this fake money? What kind of monster is prowling the streets looking to swindle ten-year-olds out of five cents? However, if I personally saw someone flip a coin 99 times and land heads-up each time, I would say there is a 100% chance for that coin to land heads-up on the next throw. All else being equal, the chances are 50%, but it is clear that in this scenario, all else isn’t equal. It’s a fake nickel!!! What on earth does this have to do with investing? Investment and economic theories are crafted in a vacuum where all else is equal, but the markets operate in the messy and often irrational real world. Surprises, investor irrationality, and government fiddling can all skew results off from where they “should” be. We invest with the expectation that our money grows over time. What we shouldn’t expect is to be able to time the market over the short-term. The S&P 500’s price/earnings ratio is above average as of this post (June, 2015). As humans, we want to find the pattern in the data we consume so it is natural for us to see that this data point is above the average and to draw the conclusion that stock prices must go down (or earnings go up) to bring the data back to the average. However, if we act on this impulse and sell (or buy) every time this factor is outside of the average, we will lose money. The market goes through cycles where it is overvalued and undervalued and trying to time shifts in valuation is impossible. Besides the cyclical nature of the data itself, outside forces are acting on today’s market. The Federal Reserve is holding interest rates artificially low which is impacting many aspects of business and investing. Political and headline risk also weigh on markets. Much of the airtime on financial television is devoted to market and economic predictions. Unfortunately, no one keeps score. Many of the people who say the market is overvalued now have been saying the same thing for several years. Once a correction does occur (and it will happen), they will take credit for “calling” the top. This reminds me of another saying: A stopped clock is right twice per day. Until a correction does happen, they will say that they are right and it’s the market that is wrong. If you are investing with real money, though, you do not have the luxury of disagreeing with the market for several years in a row. A well thought out financial plan does not rely on being right or timing trades. Keeping costs low, having a prudent asset allocation, and regularly rebalancing are the keys to long term success even if all else isn’t equal.